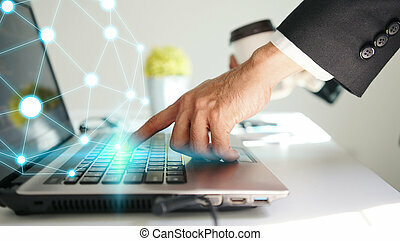 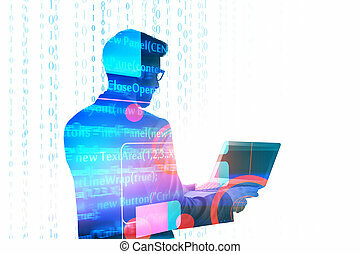 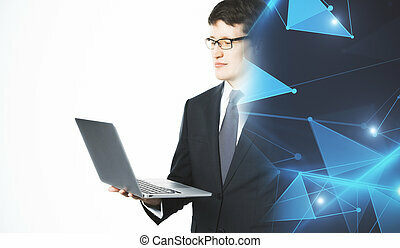 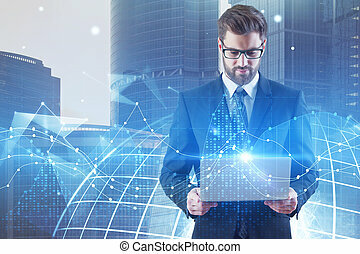 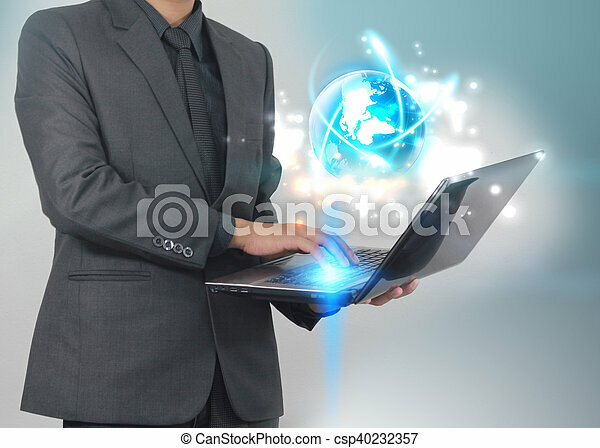 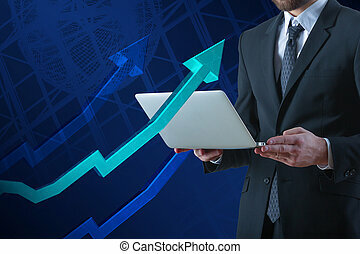 Businessman using laptop with glowing globe.business connection concept. 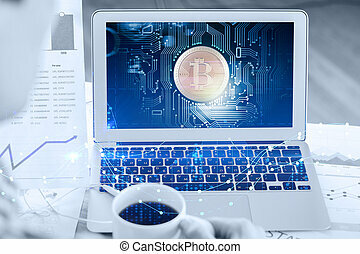 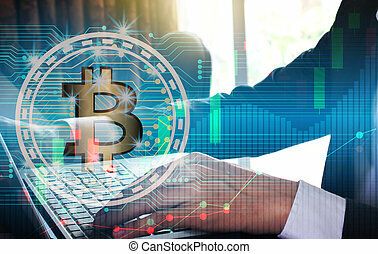 Double exposure of businessman using the laptop with bitcoin and blockchain network connection for financial investment concept. 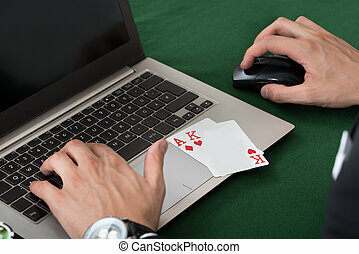 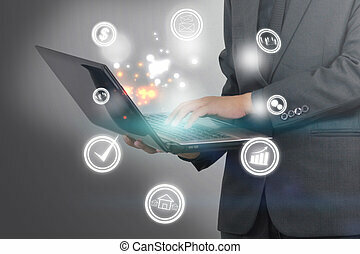 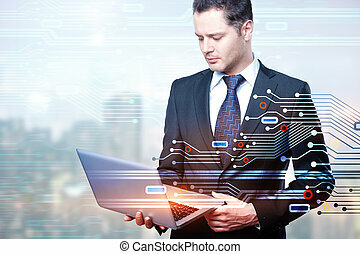 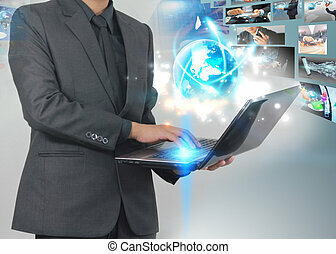 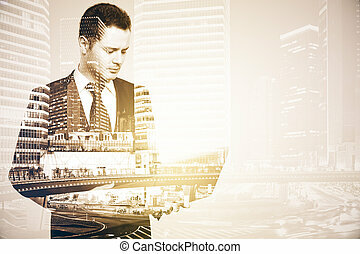 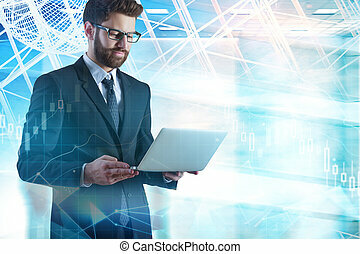 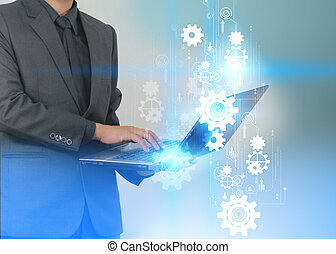 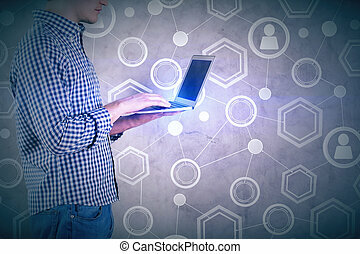 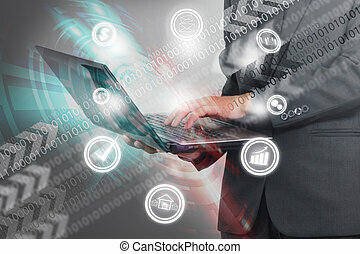 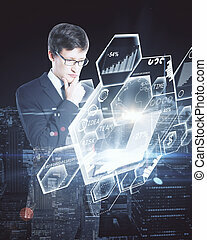 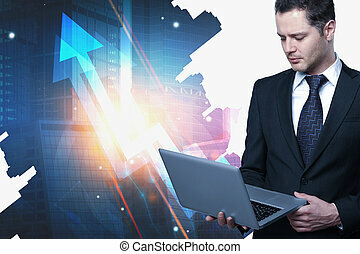 Businessman using laptop and with gears background, success concept. 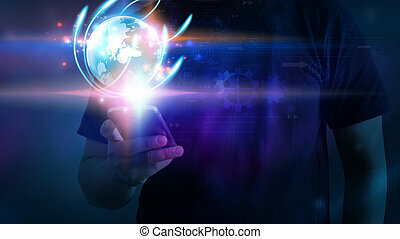 A man using smartphone with glowing globe. 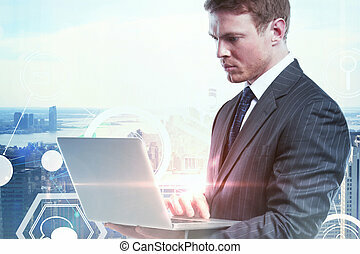 Man using laptop and hand touch screen smart phone with social icons, Social media concept.